Young brothers Sam and Derek have a knack for uncovering mystery and adventure. When they visit Richmond’s St. John’s Church for a reenactment of Patrick Henry’s famous liberty speech, they stumble upon a hidden piece of history. As the boys and their friends dig deeper, they find clues from America’s founding fathers and a secret plot to steal a treasure from our nation’s past. 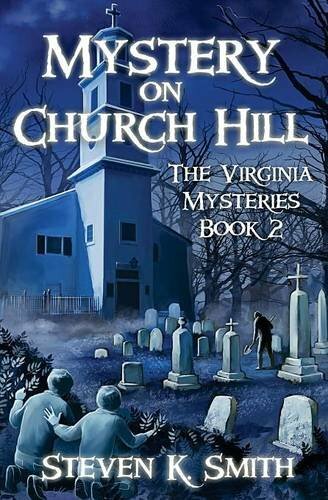 Join in the mystery as the search races from the cemeteries of Richmond to the streets of Colonial Williamsburg. Derek and Sam are always having adventures. The younger sibling, Sam, accidentally finds some mysterious men searching the church where Sam is having a school field trip. And of course the brothers have to investigate! This tale mixes some history into the mystery which I found fun.